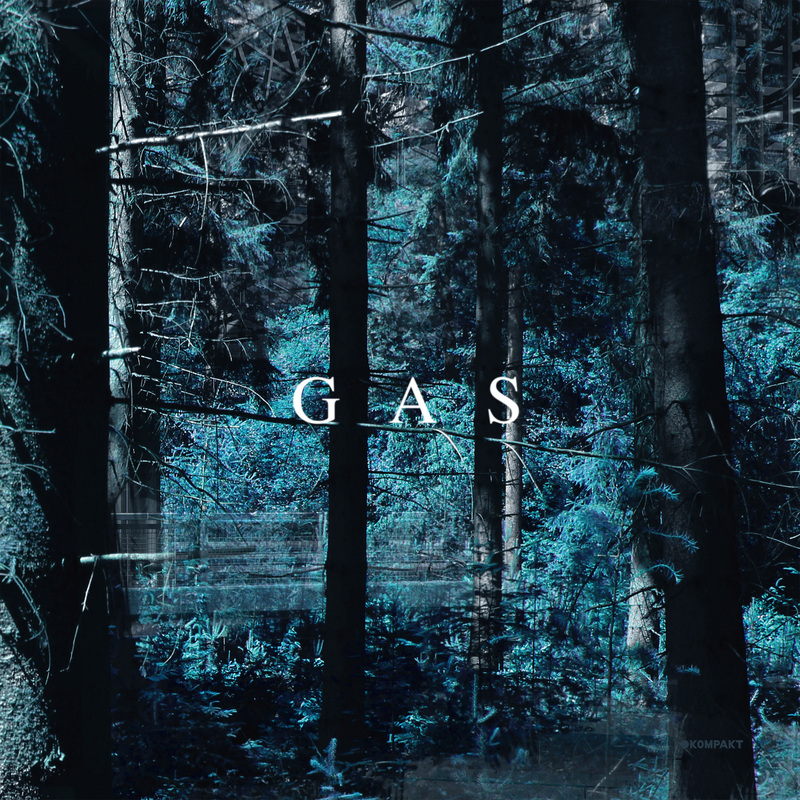 Narkopop – a surprise comeback from Wolfgang Voigt’s Gas project, which is responsible for two of my favourite ambient albums of all time: 1998’s Zauberberg and 2000’s Pop. On this new record, Voigt has put together 78 minutes of music that are just as ethereal and airy as everything that came before it. But where Pop was gaseous in the sense of oxygen or water vapour – bustling and breathing life – and Zauberberg was tobacco smoke in a small, strobelit room, Narkopop sounds more like carbon monoxide poisoning or pollution. In other words, this is the most noxious Gas album yet. Almost every track here is sticky, sour and sinister. Shimmering synthesizers are placed alongside moaning strings and hissing static to unnerving effect. Moments of transcendence suddenly dissolve into enveloping darkness at the change of a chord. Some tracks pulsate with rhythm more strongly than others, but it is always a chugging rhythm full of dread, leading in a direction which can’t be changed or controlled. Something like the engine of a train heading for Auschwitz, or the irreversible effects of climate change. Voigt has stated that his previous Gas albums were an attempt to capture his youthful experiences of taking LSD in Konigsforst, a forest outside his hometown of Koln. But Narkopop strikes me as a rejection of music as escapism – this is a bad trip through a forest ravaged by humans and full of predators lurking in the shadows. To enter into the endless hedge maze of Narkopop, then, is to revel in the simultaneous fear and thrill of being lost. This is a long but rewarding album full of hidden treasures the deeper you dare to explore. Just pray you make it out alive. How do you follow up an album like To Pimp a Butterfly? The last record from Compton rapper Kendrick Lamar has been widely hailed as the greatest rap album of the decade, and its influence has already filtered out heavily into the music world just two years after its release. You can see it in the growing number of artists inserting conceptual and narrative ideas into their records, the resurgence of funk/soul sounds happening in hip-hop , and even as far afield as David Bowie’s last album Blackstar. DAMN. is an album that cleverly shifts the colossal weight of expectation on its back with a classic follow-up move: strip it down and return to the basics. A cursory glance at the albums cover and single-word tracklist makes it clear that this is not another elaborate, conceptual record. This is Kendrick boiled down to his gritty, elemental ingredients. This is battle mode Kendrick. This is Kung Fu Kenny. That isn’t to say that there aren’t conceptual ideas holding this record together. I don’t think Kendrick could release an album that didn’t have some kind of theme or structure to bind it into a whole, whether it be the campfire interludes of Section 80, the VHS storytelling of Good Kid Maad City, or the slowly unfolding poem of To Pimp a Butterfly. 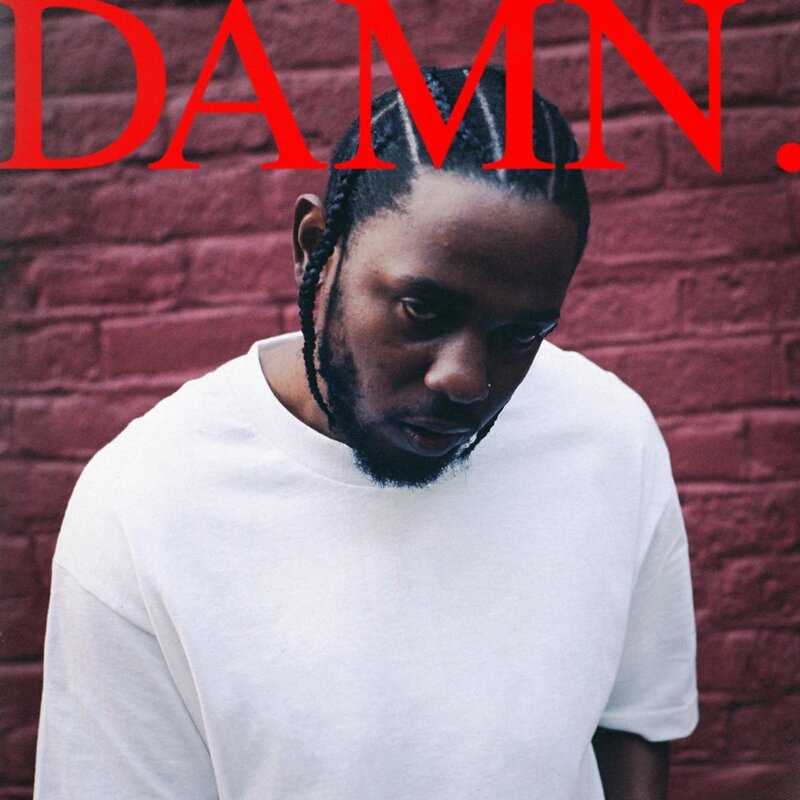 DAMN., as its title suggests, has a rather loose religious subtext in which our nappy-headed hero is shot dead in the album intro, and subsequently explores his thoughts on vice, virtue and everything in between. This is an album all about contradictions, and in that way it recalls Kendrick’s breakout Section 80 more than his last two records. ‘PRIDE’ precedes ‘HUMBLE’. ‘LUST’ comes before ‘LOVE’. At every turn, Kendrick explores the contradictions and hypocrisies that he finds in the world around him but also within himself. Having said that, it’s worth noting that DAMN. is an album which finds Kendrick more often than not rapping in his own voice and playing around less with cadence, tone and character. For some, that might be a disappointment – Kendrick’s chameleonic identity on a track is one of the most unique things about him, and his ability to inhabit any number of different voices on TPAB and GKMC really set him apart. In place of that is a more aggressive and braggadocious style of rap that is perhaps a bit less experimental and daring but no less exciting. Tracks like ‘HUMBLE’, ‘DNA’ and ‘ELEMENT’ find Kendrick firing shots at anything and everything in sight: fake friends, wack artists, women trying to get in his head, police, the media, critics, you name it. The confrontational lyrics are matched by a style of production more in line with the sparse, hedonistic sound of contemporary hip-hop than the jazz/funk of TPAB. The majority of the production is done by in-house TDE staff with a few tracks by Mike WiLL Made-It, and this lends the album a very cohesive sound. The songs on DAMN. are moody and textured, but not cluttered with detail. Some of them, like ‘HUMBLE’, are really quite simple in construction, but that does nothing to lessen the blunt force impact of the low end bass and drums in the mix. DAMN. might not break much new ground for Kendrick Lamar, but it is another fascinating release from contemporary hip-hop’s most ambitious artist. While I don’t think it quite reaches the same level as To Pimp a Butterfly or Good Kid Maad City, it demonstrates Kendrick’s versatility as well as his consistency. This is a man at the very top of his game, even when he’s speaking from the depths of hell and damnation. At the start of A Crow Looked at Me, Phil Elverum sings that ‘death is real / and it’s not for singing about / it’s not for making into art’. The album that ensues serves as a testament to that sobering and somewhat paradoxical lyric. This is a conceptual record whose single and only theme is death: the very recent and traumatic death of Phil’s wife to cancer. And it ranks among the most emotionally raw pieces of art I have ever experienced which tackle the subject of grief. I don’t get the sense that any of the songs contained within this album were planned, premeditated, or even edited very much. They have little that resembles typical song structure, and their delicately sung/spoken vocals spill out without any consideration for metre, rhyme, or imagery. Instead, each song feels like a vessel, a musical time capsule full of memories, moments, and brutally immediate thoughts which are processed as they are buried in the ground. There are moments of poetic beauty and horror, but they emerge from the real, day-to-day moments in Elverum’s life following his wife’s death, and not from his imagination: The backpack his wife ordered for when her daughter begins school, knowing she would most likely not be alive to see it. The hundreds of Canada geese gathered on the beach when Elverum takes his daughter to scatter her ashes. Confronting the necessity of continuing to live while taking out the garbage. The moment which personally touched me the most, though, was ‘Forest Fire’, in which Phil describes a fire burning not far from his home as a ‘natural and cleansing devastation’, and then awfully compares it to the destruction in his own life: ‘When I am kneeling in the heat / Throwing out your underwear / The devastation is not natural or good / You do belong here / I disagree’. A Crow Looked At Me is full of devastating moments such as this, moments that are all the more crushing for how banal and real they are. These are things that almost all of us will have to experience at some point in our lives, but they are all too often obscured behind a veil of metaphor and allusion. There is no veil to be found here. A Crow Looked At Me is an exacting and unadorned look at what Elverum called on his Bandcamp page the ‘cold mechanics of sickness and loss’. It is a hyper-personal meditation on death that evokes powerful empathy in the listener and thus becomes universal. For those who have experienced grief, A Crow Looked at Me will be both a freshly opened wound and a balm. For those who haven’t, it is a painful yet beautiful glimpse at how the living are left to confront and process real death.